The MTA’s president on Wednesday offered riders an apology for the shoddy state of the city’s transit system. “We’re not happy with the service. And we do owe the public an apology,” MTA president Pat Foye said during a state budget hearing in Albany. The long-awaited mea culpa came under grilling from Sen. James Skoufis, who heads the Senate Investigations Commission. “The MTA is the dirtiest, least reliable, slowest and most expensive transit system in the world,” Skoufis railed, adding that transit officials in Japan apologize to riders if a train leaves 25 second early and asking if the MTA plans to do the same. “Does the MTA owe the riders an apology?” Skoufis asked Foye. “It’s improved in certain ways” but has a ways to go, Foye responded — later offering an actual apology to the public for the state of the system. Also during the hearing, Foye also cautioned that fares and tolls could increase by 27 percent and service could be even further cut if the state doesn’t pass a congestion pricing rule on private cars coming into Manhattan. “A failure to have congestion pricing be enacted and implemented in the state would result in a 27 percent increase, perhaps higher, together with service cuts and other actions that no one wants to take,” he said to the panel of legislators. Foye’s statement comes less than a week after the MTA board tabled a vote on fare and toll hikes, with members claiming they would explore other ways to raise funds for the struggling agency. Board members cautioned in December that the MTA could be $1 billion in debt by 2022. The fare hike proposal would increase base subway and bus fares from $2.75 to $3. Riders would get a 10 percent bonus when buying a $6 MetroCard. Lesser-used single-ride tickets would go from $3 to $3.25. The other option the board is considering would keep the base fare at $2.75, but scrap the bonus. 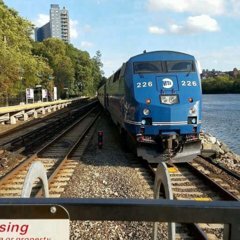 Fares on commuter rails and tolls on MTA bridges and tunnels would also go up under both proposals. They can’t publicly go on about how horrendous service is. What’s worse is they do finagle their numbers a bit to their advantage and still service stinks based on those very numbers. That’s the scary part. Okay, so now DO something about it.